The Bioelectronic Systems Laboratory is focused on the design and fabrication of mixed analog-digital Complementary Metal–Oxide–Semiconductor (CMOS) integrated circuits. We are working on a growing number research projects aimed at exploiting custom CMOS microelectronics for nontraditional applications in chemistry and biology, and combining CMOS electronics with non-traditional materials for novel applications. 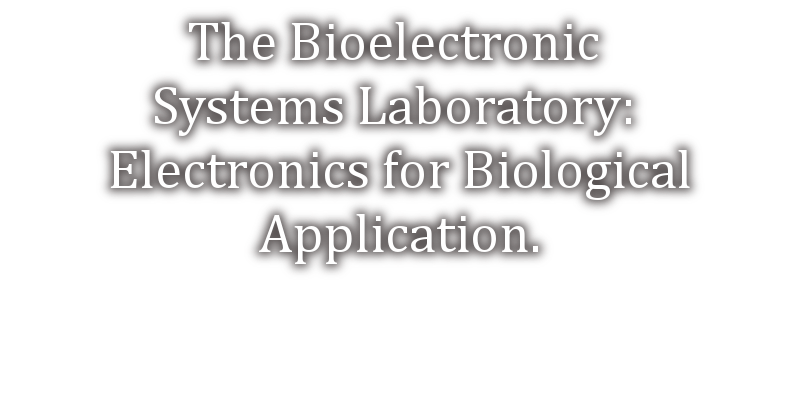 The Bioelectronic Systems Laboratory is a talented multi-disciplinary team of researchers including research associates, post-doctoral fellows, Ph. D. students, and undergraduates working on a range of projects related to applications of electronics to the life sciences. New DARPA grant on brain-computer interfaces!